It was the final day of Ottawa Fashion Week’s Autumn/Winter edition and I did not expect to attend but it was due to some luck and also a fun opportunity to see people again. Afterall, it was great to see the usual photographers at the photo pit and there were a few new joiners to the ruckus and humorous crowd of the photographers. Due to my own bungling, I forgot to get the program guide for Sunday’s OFW event. There were some new designers appearing at OFW from the likes of Loft 604. The Sunday lineup also had Ella Peru, Helmer, & Symbiose by Hinda A. The highlight of the night was the Runway for a Better Way as it was a charity to support UNICEF Canada. Celebrities from Elizabeth Manley, Lianne Liang, Gabrielle Miller (Corner Gas), singer/actress Cory Lee, social media/blogger Casie Stewart, Erica Wark and etc. The photos are be posted below. It was nice to have a bit of CKCU-FM connection (aside from Jewne on Fundamentally Sound) at OFW as one of the photographers is on Carleton University’s Journalism program, Midweek. Her is blog is called Always On. Being that it’s February 20th and it’s also Family Day in Ontario. That’s right, it’s my birthday today and it’s nice that friends are posting their birthday greetings on my Facebook wall. I would be put in tears to read through them. I know it sounds sentimental. Another thing to drive me crazy is my iPhone ringing off the hook from the Facebook notifications. What will I be doing on the special day? Not very much to say the least and being that certain places are closed for Family Day, it will be a relaxing day. Here’s a photographer friend who took this shot of me at OFW. OK, I had an itch to blog something as it’s food related. 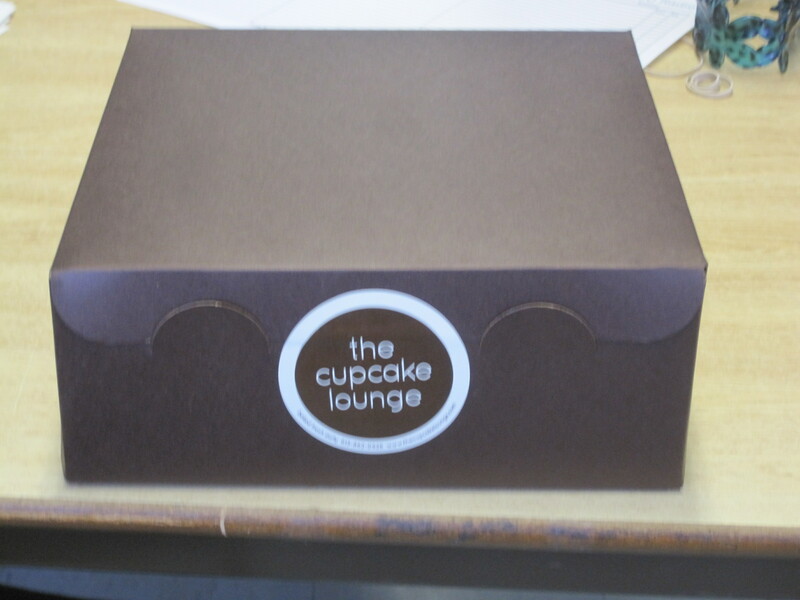 Before going to CKCU-FM, I decided to go to The Cupcake Lounge to try out their cucpakes. 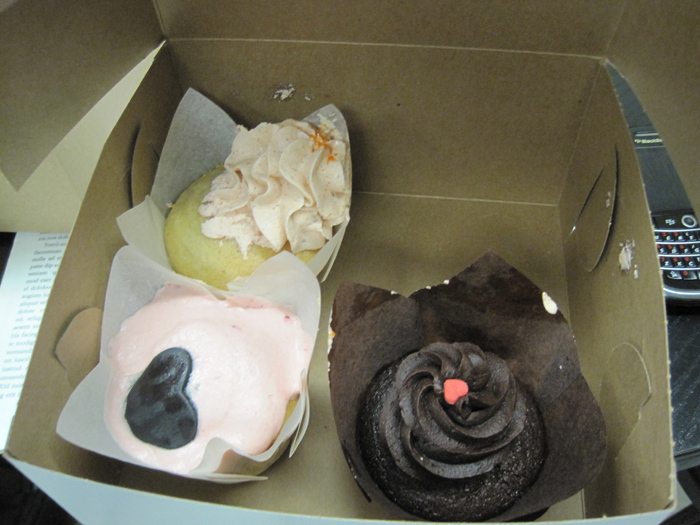 As usual, I would buy cupcakes before going to a radio show at CKCU. Never on my show because I’m on for Wednesday mornings and the cupcake places don’t open at 10am and I’m stuck at the station. It used to be on Saturday nights but this time, it was on Thursday from 12-2pm for Fundamentally Sound. The photo displayed, top left was Key Lime, bottom left was Chocolate Dulce du Leche and then the others were Cherry (middle) and Red Velvet (right). I had Fundamentally Sound’s Dennis and Jewne and even the CKCU Sponsorship Coordinator try them out. Their verdict on the cupcakes by The Cupcake Lounge were great. For myself, I had Red Velvet, Cherry and Key Lime. 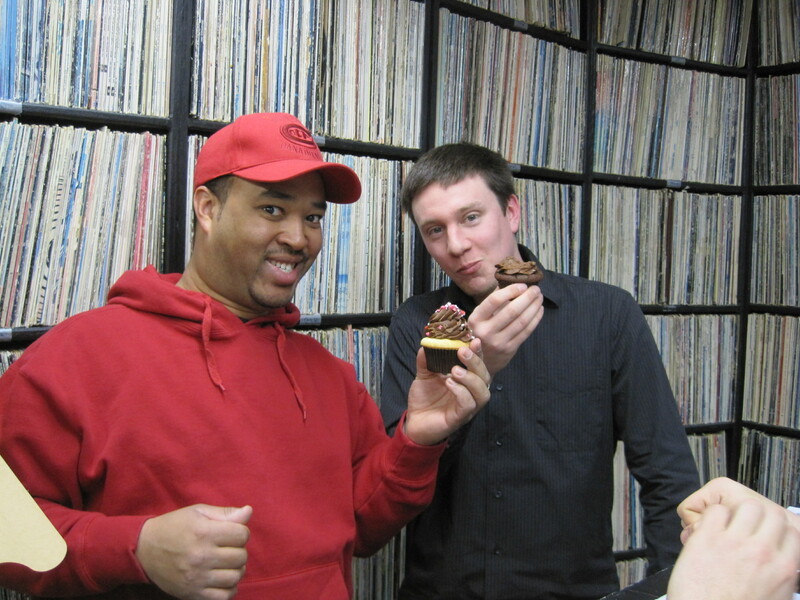 When I had the Key Lime after the show finished up, I was close to having a cupcake coma due to their excellent icing. Overall, the cupcakes were excellent and it’s nice that they were freshly made. The icing weren’t overly sweet. Remind myself to get an extra bottle of water to overcome the icing. Lastly, I’ve decided to post up the radio show from my mine and for Fundamentally Sound on here. Enjoy another Summer special entry! The July 7 edition of Fundamentally Sound – Press play to listen.